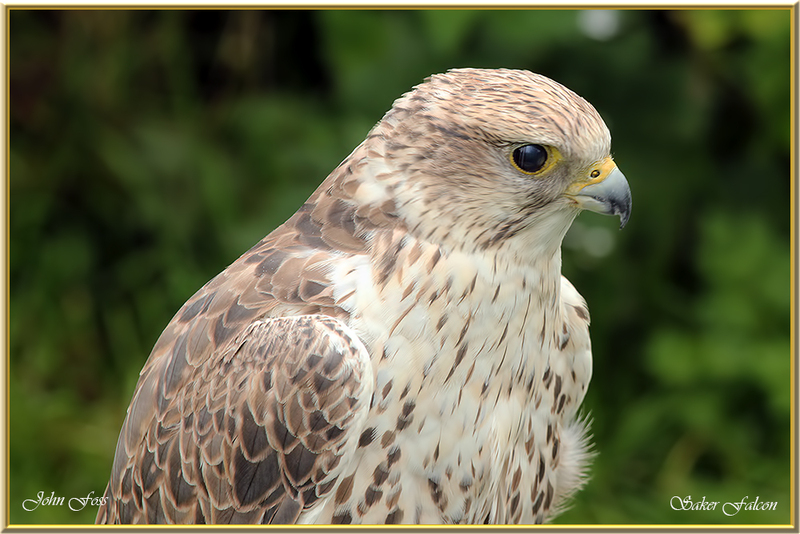 Saker Falcon - a large beautiful, powerful bird of prey with an exceptionally broad wingspan. It has a wingspan of up to 130 cm. The saker falcon is a wide-ranging species with a breeding distribution across the Palaearctic region from Eastern Europe to western China. Its preys on the likes of voles, stoats, and hares. 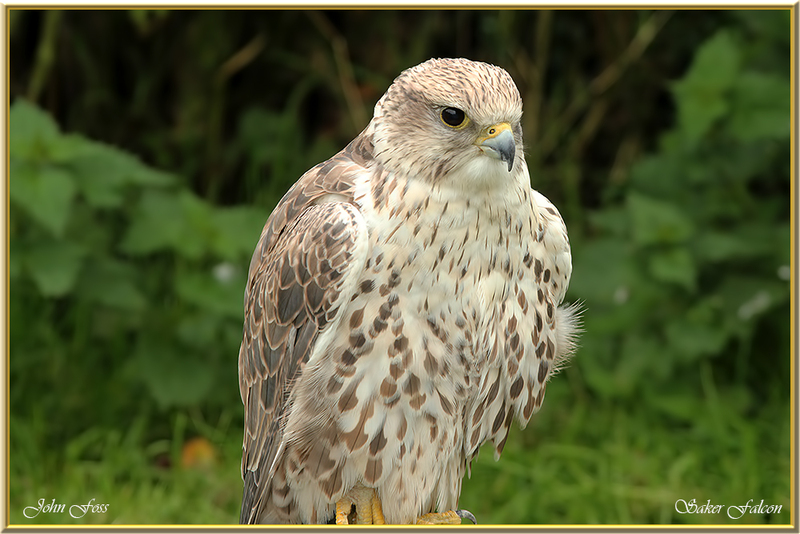 Frequently attacks prey larger than itself such as pheasants, ducks owls and buzzards. Small birds are also on the menu.It prefers open terrain for hunting and attacks at lightening speeds.